There are a number of free financial websites and mobile apps where you can track your portfolio to calculate your gain/losses etc. For example- money control, ET markets, market mojo etc. 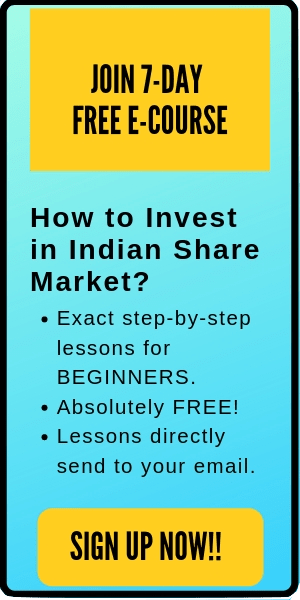 However, if you a small investor in India and aren’t involved in frequent trades, intraday, or futures and options, then all you need is a simple sheet to track your stocks and the dividends received. In addition, these sheets can also provide more privacy and security to your portfolio compared to mobile apps. The good news is that it’s really simple to create and track your stock portfolio in google sheets. And in this post, I’ll teach you precisely how you can use google finance functions to create such sheets step by step. Live updation of the current share price of stocks. Easy tracking of dividends received. Simple tracking of net changes in the portfolio. Dividends are to be entered regularly (whenever you receive it). In case of stock splits or bonuses, you need to make the changes manually. If you do not know, Google offers ‘GOOGLE FINANCE’ which keeps most of the important stock data (like current price, PE, market cap etc) from the stock exchanges (BSE and NSE). 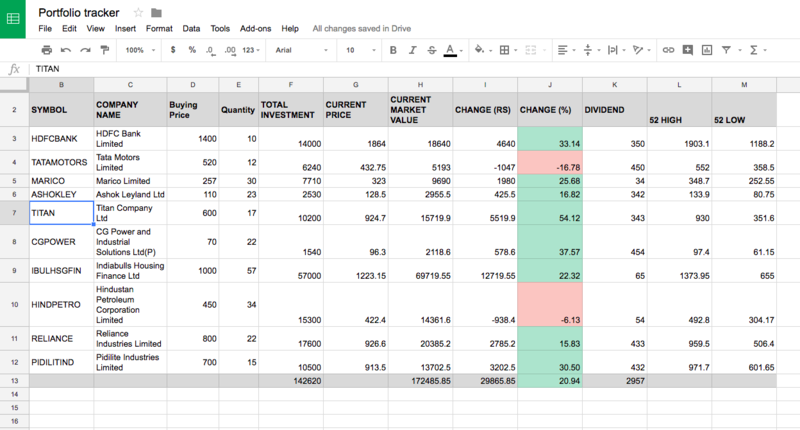 You can easily pull all the stock data in google sheets to track your portfolio. To use this free facility, all you need is a google account (which I guess most of you will already have). 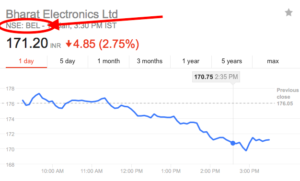 We are going to use few google finance functions to get the stock data like its current price, 52-week high price, 52-week low price, market capitalization etc. Here is a video tutorial which teaches you how to get the data on google sheets using google finance, create your portfolio and then track it. Please note that you may find this tutorial a little complicated. However, I tried my best to explain the details in a simple and easy manner. How to find the symbol of a company? 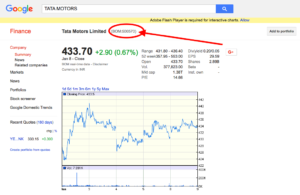 As explained in the above video, you can find the symbol of a company by a simple google search. 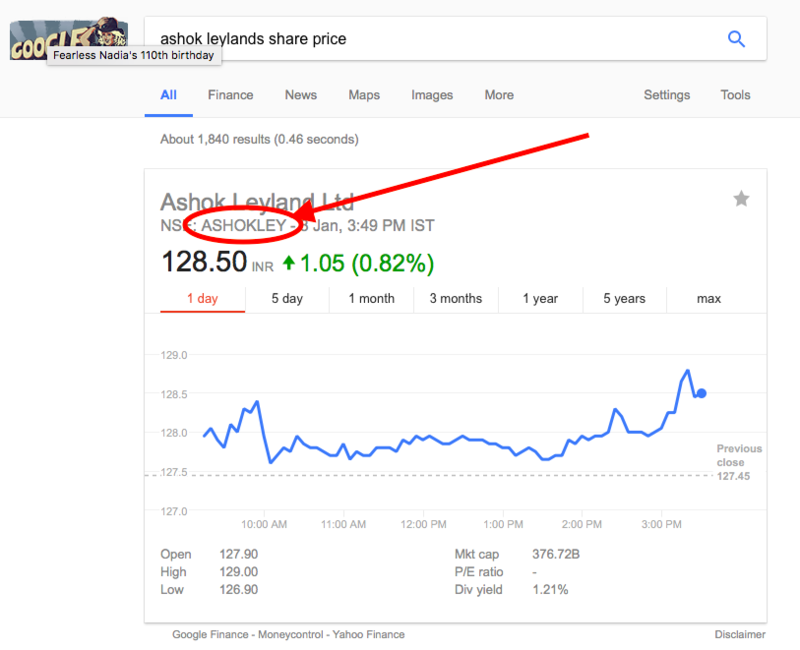 Just search, “Stock name + Share price” on google and you will get the following result. The symbol is highlighted in the below picture. 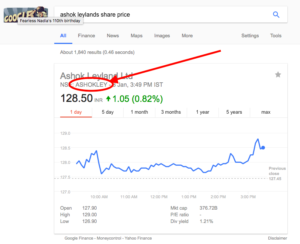 In case, you are not able to find the symbol using the simple google search (or it is not working), you can go to google finance and search for the company in its search bar. You will get a numerical symbol, which you can use instead. There are few companies where company symbols are not unique and a different company with the same symbol might be listed on another stock exchange. 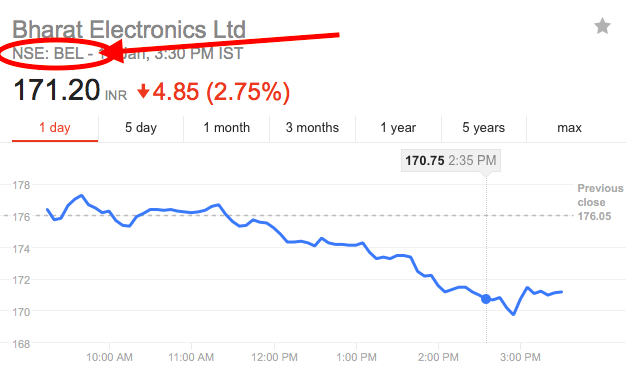 For example, Bharat Electronics limited has a stock symbol of ‘BEL’. 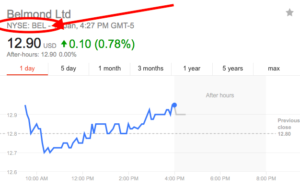 In this case, another company- Belmond ltd has the same symbol “BEL” and is listed on New York stock exchange (NYSE). In these cases, you have to add the stock exchange symbol along with the company symbol in the google sheet, before you run the query. In addition, you can use this script “NSE:company symbol” anytime, even if the company has a unique symbol. 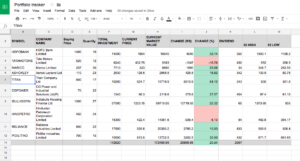 Here is the list of the important google finance functions that we used in the above video to track your stock portfolio in google sheets. That’s all. 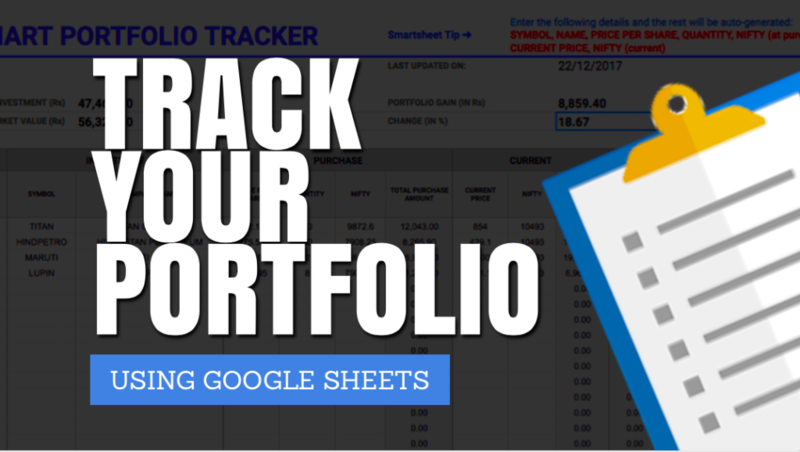 This is how you can create and track your stock portfolio in Google Sheets. I hope this post is useful to you and you can also create a similar portfolio for your stocks in google sheets. New to stocks? Here’s is an amazing online course for newbie investors: INVESTING IN STOCKS: THE COMPLETE COURSE FOR BEGINNERS. 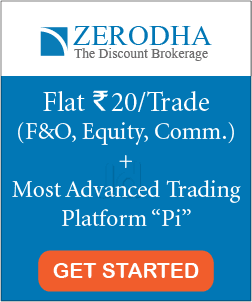 Enroll now and start your share market journey.